Our range of products include cqf16 concrete groove cutter, cqf28 concrete groove cutter, cqf40 concrete groove cutter and cfq16 concrete groove cutter. Concrete Groove Cutteroffered provides for optimum functional support and finds application in cutting areas like pavements or for excavating of trenches. These Hi-tech cutter credited for their better smooth performance and longer durability. 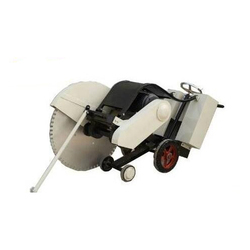 This machine is ideal equipment for cutting the hard concrete for expansion joints, dummy joints (shrinkage control joints), asphalt pavement cut. Light in weight makes it easy for one operator to handle easily. 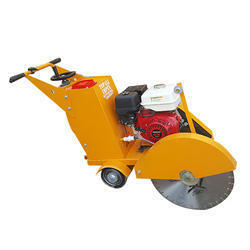 It gives accurate required depth cut as a controlled mechanism is fitted in the machine. We are engaged in providing CFQ16 Concrete Groove Cutter to our valuable customers to satisfy their needs by our product.